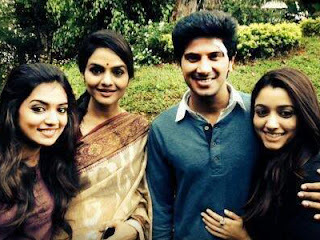 Dulquar Salman, Nazriya Nazim starrer upcoming Tamil film Vaya Moodi Pesavum has wrapped up its entire shooting. film in just schedules. Mammootty's son Dulquar Salman is making his debut in Kollywood with this romantic love story. Madhoo is playing an important role in Vaya Moodi Pesavum. Raghavendra is rendering tunes for the film while Soundar is cranking the camera. Balaji Mohan is the director of Vaya Moodi Pesavum being produced jointly by Radiance Media and Y not Studios banner.